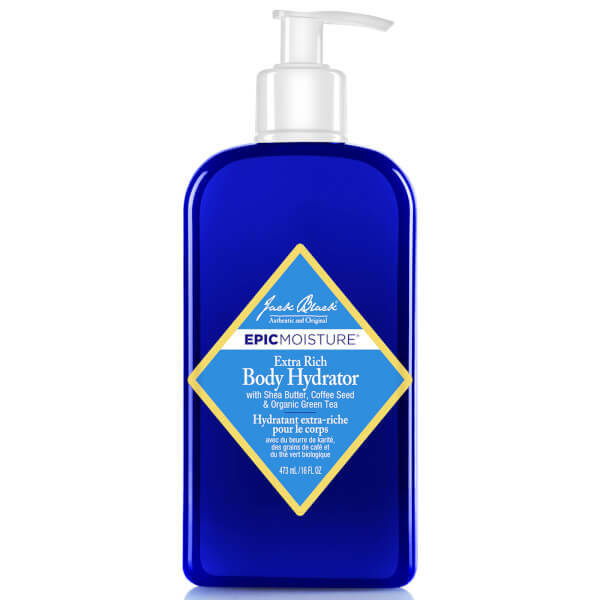 Improve your skin's overall appearance with Jack Black Extra Rich Body Hydrator; a lightweight lotion that delivers all-day moisture without greasy residue. Fortified with Shea and Cupuacu Butters, the fast-absorbing formula provides intense hydration, whilst Coffee Seed, Argan and Olive Fruit Oils work in synergy to improve skin tone, texture and suppleness. 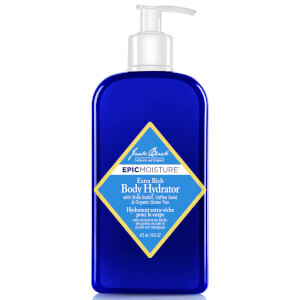 The body feels smoother and firmer with long-lasting moisture. 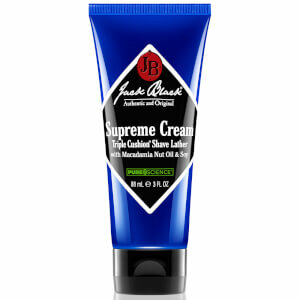 Generously apply all over body skin following shower, or anytime skin feels dry or tight. Water (Aqua), Caprylic/Capric Triglyceride, Glycerin, Glyceryl Stearate,Peg-100 Stearate, Phenyl Trimethicone, Butyrospermum Parkii (Shea Butter), Olea Europaea (Olive) Fruit Oil, Coffea Arabica (Coffee) Seed Oil*, Zingiber Officinale (Ginger) Root Extract, Simmondsia Chinensis (jojoba) Seed Oil, Theobroma Grandiflorum (Cupuacu) Seed Butter, Persea Gratissima (Avocado) Oil, Argania Spinosa (Argan) Kernel Oil, Olea Europaea (Olive) Leaf Extract*, Helianthus Annuus (Sunflower) Seed Oil*, Camellia Sinensis (Green Tea) Leaf Extract*, Rosmarinus Officinalis (Rosemary) Leaf Extract*, Tocopheryl Acetate, Arginine, Bisabolol, Dimethicone, Meadowfoam Estolide, Panthenol, Allantoin, Tetrahexyldecyl Ascorbate, Cetearyl Alcohol, Ceteth-10 Phosphate, Dicetyl Phosphate, Phenoxyethanol, Caprylyl Glycol, Ethylhexylglycerin, Hexylene Glycol, Ammonium Acryloydimethyltaurate/VP Copolymer, Tetrasodium EDTA, Fragrance (Parfum), Limonene, Hexyl Cinnamic Aldehyde, Citral, Linalool. *Certified Organic.